Update 9/8/14 1:04 p.m. 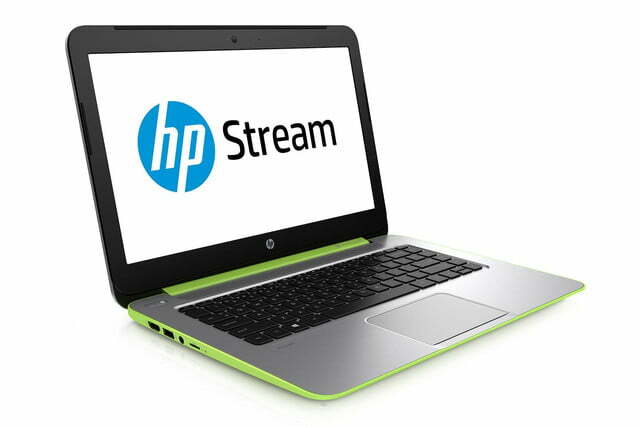 ET: HP’s official Stream 14 page has gone live, and it indeed starts at $299. Update 9/8/14 12:13 p.m. 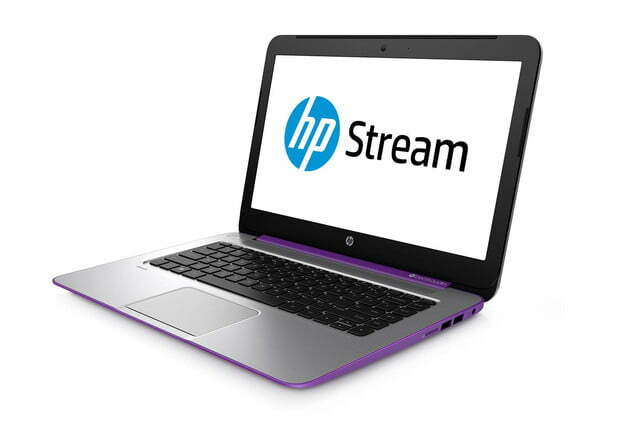 ET: A report indicates that the HP Stream 14 will cost $299 once it’s released on September 24. This fall promises to be the season of new, super-cheap Windows laptops. HP is just the latest PC maker to follow suit. The company just revealed the Stream 14, which is a Windows-based system that offers Chromebook-like specs. The Stream 14 is powered by an AMD A4 Micro-6400T processor clocked at 1GHz. Though it consumes only 4.5 watts of power, the chip has four cores, and an integrated Radeon R3 GPU. AMD believes that this version of the A4 can go toe-to-toe with Intel’s Atom CPUs. It’s also worth noting that, from a power consumption standpoint, the Micro-6400T lines right up with the Core M CPU. Core M is Intel’s latest chip, and the Intel offered more details about it at IFA 2014 just a few days ago. Like most Chromebooks, the Stream 14 will ship with very low-end hardware. It wears a 14-inch 1366 x 768 display, 32GB of flash storage, and 2GB of memory. That’s not much hard drive space for a Windows rig, but Microsoft compensates for that somewhat by adding on a 100GB Microsoft OneDrive subscription that’s good for two years. That’s exactly what you’ll find on many Chromebooks, which ship with two years of 100GB Google Drive storage for free. Users will also be able to expand storage further via an SD card slot. The HP Stream 14’s battery life is rated at “up to 6.5 hours.” That’s not impressive, considering that most Atom-powered systems manage that at a minimum. Port selection includes a USB 3.0 port, two USB 2.0 ports, HDMI, and a headphone/mic combo jack. Wireless connectivity is handled via 802.11n, and Bluetooth. The Stream 14’s Beats speakers should provide an adequate listening experience. Measuring 13.54×9.45×0.7-inches and weighing 3.86-pounds, the HP Stream 14 isn’t the lightest or most portable notebook around, but it should still be fairly easy to lug without weighing you down too much. The Stream 14 will be available in one of three colors. If you prefer a conservative look, you can get the Stream 14 in Silver. For those who want to slather their Stream 14 with a layer of flamboyance, Neon Green and Purple will be available as well. 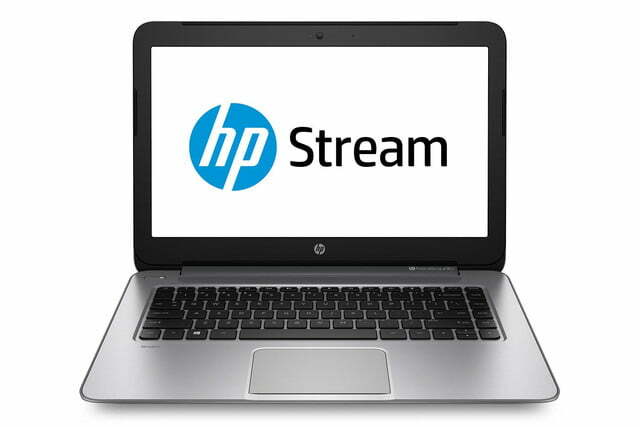 It’s unclear when the HP Stream 14 will be ship. We also can’t confirm how much it will cost, though we reached out to HP with both of those questions, and will update if and when we get an answer. The Stream 14 should ship by the time the holiday shopping season rolls around. For what it’s worth, a leak of the Stream 14’s specs last month also indicated that it would between $199 and $249. It’s worth noting that the information HP provided to Digital Trends regarding the Stream 14’s screen size, resolution, processor, and storage matches up with the data that was in last month’s leak. This lends some credence to the rumored $199 – $249 price range as well. DT writer Matt Smith also contributed to this report.